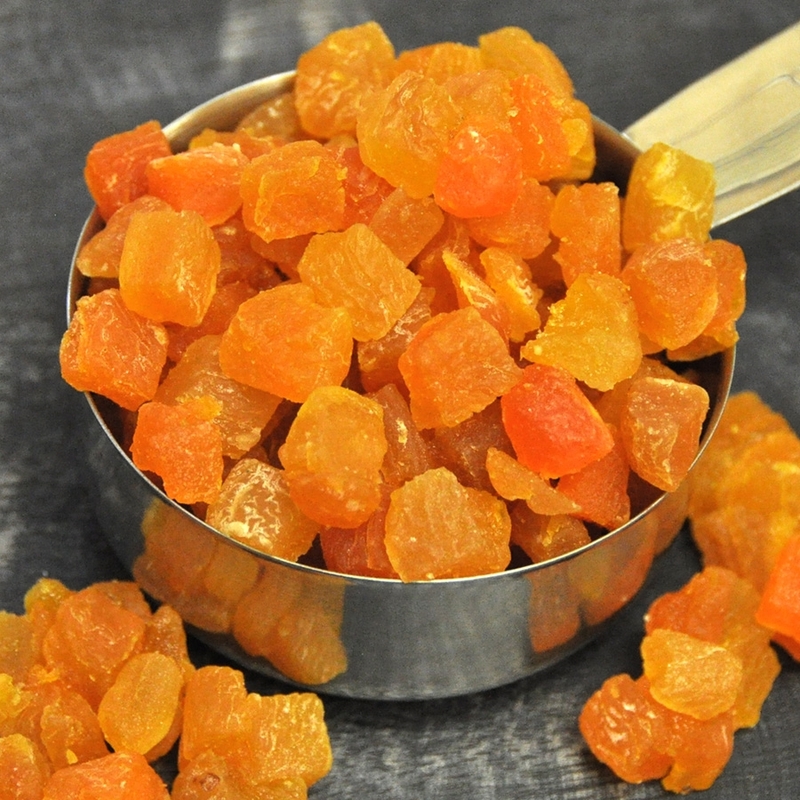 Wholesale Diced Apricots. We slice and dry your apricots. INGREDIENTS: APRICOTS, RICE FLOUR, AND SULFUR DIOXIDE (TO PROMOTE COLOR RETENTION).